All telecom operators are increasing there Internet rates from almost a year. They have made it unexpensive to the normal customers. There was a days when we was getting 2 GB data at just 98 or 99 Rs. But now we have to pay more than 200 Rs for the same. 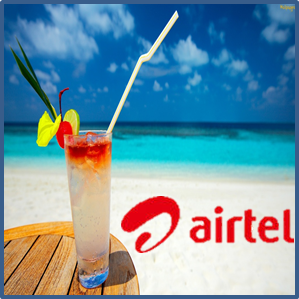 Although there is a high rates of telecom operators we can get 1 GB data at just 98 rs on airtel simcard. For this you need 2 airtel simcard or can use friends simcard for a moment. Let me explain the full procedure to use internet in low rate. 1. First of all you need to recharge your friends mobile number in such a way that he will get balance of 98 Rs. 2. Dial *141# from friends mobile. 3. Now reply with 4. 5. Reply with that number and Gift this pack to your number and you have done it! Now enjoy 1GB at just 98 Rs. Stay tuned for more tricks! Is there any extra charge involve in it..like service charge deduction from my friend's airtel sim card for gifting me GPRS pack. ?